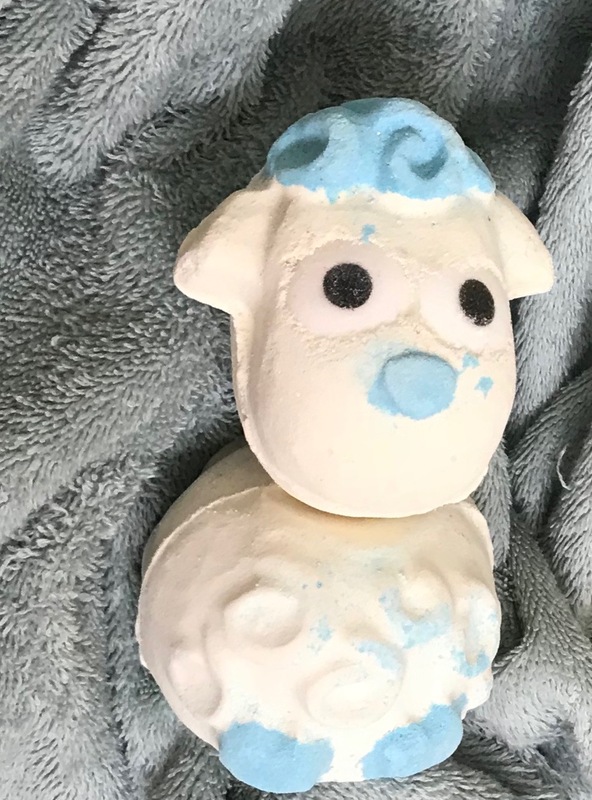 Ok, now that we’ve taken a moment, I’m ready to talk about Lamb Bomb Bomb, an adorable, inexpensive, and delicious (smelling) bath bomb. Part of Lush’s Easter line, I was super blown away by the Lamb Bomb Bomb. Obviously, it’s beyond adorable. But it’s also functional as heck, and creates a lovely bath. I fell in love with the fact that you get two bath bombs in one (that’s right, if you cut this one you could get four baths worth! ), and it was just under eight dollars. I know that eight dollars for a bath bomb may feel a bit steep, but since you’re actually getting two, and it’s Lush (where single bath bombs can range from four to ten dollars each), this is such a good deal. And you know me, I’m here for the deals. But once this baby hits the water, you are in for it. 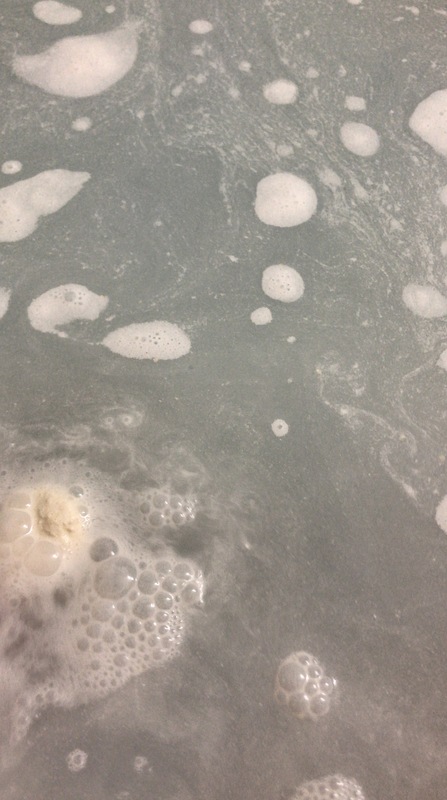 This isn’t a crazy show, like some of Lush’s products, but it is quite a lovely, milky blue bath that you get. 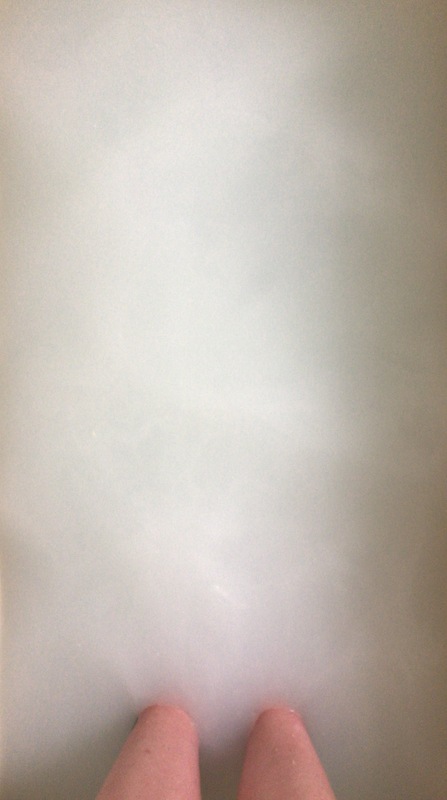 A lot of bath bombs will tint your water, but this changes it entirely; it looks like you’re bathing in light blue milk! I love a good non-transparent bath, because I think they look super cute and unique. Plus the scent. I swear, this bath bomb smells exactly like mint chocolate chip ice cream. It’s so pure and sweet, with the slight chocolate undertones, I was blown away. I absolutely adored the Lamb Bomb Bomb. I know it’s almost Easter, so they probably aren’t making many more, so today is a great time to get in to your local Lush, and pick up one or two of these cuties (and check out their anniversary line while you’re at it!). Happy bathing, and Happy Early Easter! It’s so cute! I really want to buy it now as an Easter treat! I think it’s super worth it! Go on and treat yourself!